The Silver Birch (Betula pendula) is a feature of the British landscape. A true native British tree, it is distinguishable by its heart-shaped, attractive green coloured leaves which hang from arched branches. A fast-growing tree with pretty white, peeling bark which over time becomes rutted, with black cracks in it. 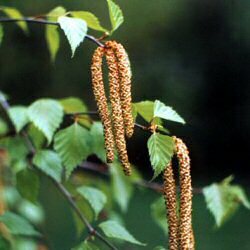 Spring heralds the arrival of appealing, yellow-brown fluffy catkins. Autumn sees the folaige turning a delicate yellow before shedding. 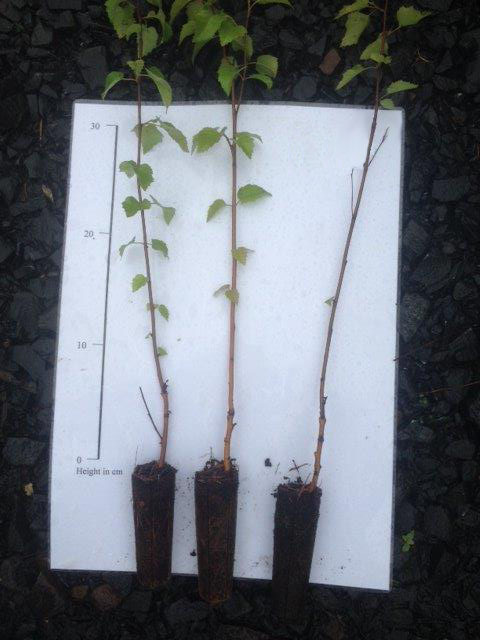 With its slender, conical-type shape, coupled with its ability to grow in almost every kind of soil and situation, the Silver Birch, forms a key species in new native woodland planting. Expect a final height of 26m (87ft).